Jewish people are renowned for being generous when it comes to charitable giving. Many try to make a special point of supporting Jewish charities, believing that if they don’t, no-one else will. Legacies and bequests are a valuable form of income for many charities and donors often rely on solicitors when choosing voluntary organisations to benefit from bequests in their wills – or to make donations in their lifetimes. The Jewish Charity Guide is the only publication that specifically lists over 520 UK registered Jewish charities serving the Jewish community at home, in Israel and throughout the world. The printed copy of the Jewish Charity Guide is revised, updated and published every March, with charities categorised under subject headings to make selection easier. The website is updated regularly so you can always check back here for the latest information and contact details on UK Jewish charities. Each year, we send the Guide free to around 3450 contacts, including solicitors’ practices in Jewish conurbations, synagogues, Jewish philanthropists and administrators of charitable trusts. Some libraries will also carry current versions of the guide in their reference sections. The Guide is also a vital communal reference tool for people needing to contact Jewish charities for help, or to offer donations, voluntary services, or unwanted goods for charity shops and redistribution to people in need. 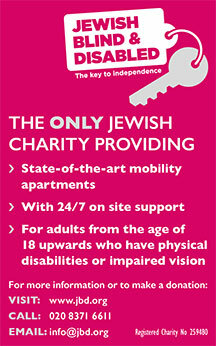 To make an informed choice about Jewish charities go straight to the Jewish Charity Guide. MAKE A DONATION TODAY USING OUR DONATE BUTTON SERVICE! 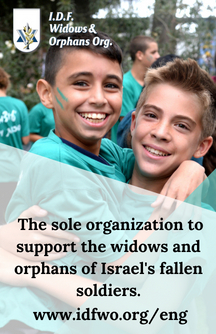 If you make your donation through the Jewish Charity Guide, using the Donate button where featured, UKToremet, a UK registered charity, will take care of the rest. Once you press the button, you will be taken straight through to the donation page. To access the Donate buttons on charities highlighted in bold, just click on the charity name to open up the entry, where you can find further information and contact details. If you want further information on any of our online advertisers, just click on their banners to take you straight through to their websites. 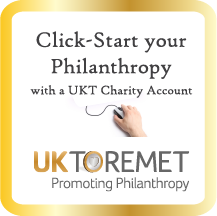 Online donations via jewishcharityguide.co.uk are processed securely by UK Toremet Ltd, who will quickly forward it to the charity on your behalf. PayPal, the world’s most secure processor of online transactions, will process your donation either by credit card or through your PayPal account. The Jewish Charity Guide does not take any commission on your donation. When UK Toremet receives private donations from UK tax payers that are eligible and approved for Gift Aid, 100% of the received donation is transferred to the recipient agency and, being a charity itself, UKT will claim the Gift Aid to help cover its expenses in operating this facility. 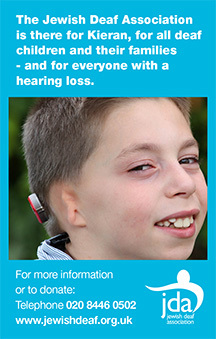 Where Gift Aid is not received, UKT will retain 5% of the received donation for this purpose. Full details of their services and charges can be found on their website by clicking on the advert on the right hand side of this page. If you prefer to have the Guide at your fingertips, please visit our Free Guides page to see if you are eligible for a free copy. If not, you can obtain one for £6.50 inc. postage and packing (further details on the link). The Guide is designed by Thinking Made Visual (07870 109 486) and printed by VC Communications (07974 733 068).